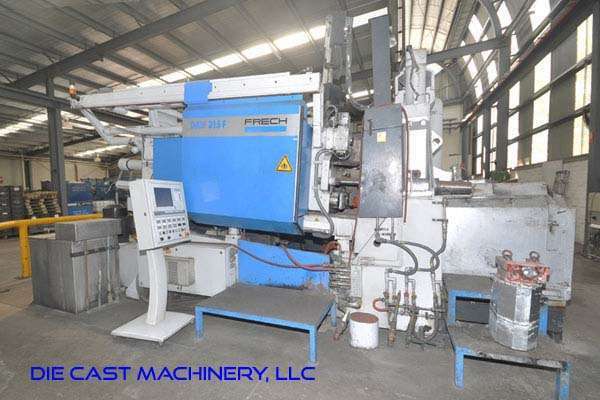 Used Frech 315 Metric Ton Horizontal Hot Chamber Zinc (Zamak) High Pressure Die Casting Machine. Inventory item: DCM-3296. Factory Designed for Hot Chamber Magnesium and Hot Chamber Capability. Total shots: 1,458,243. Operating Hours: 21,475 hrs.